Google Adsense is an advertisement program run by Google where publishers or website owners can put ad code on their websites. Then, Google Adsense will fill that ad space with proper ads for the audience. It has been widely used in most websites nowadays because it’s very easy to set up. It also provides recognization to the website owners. Google Adsense only approves the requests of the websites that have met certain criteria. So, a website with Google Adsense is automatically a well established authorized website from the viewers’ perspective. This is why most of the owners have been using Google Adsense on WordPress to advance their websites. Furthermore, you might spend a lot of time and money developing your WordPress website. This revenue can also be recovered through Google Adsense. You can also add Google Adsense on WordPress and increase the interaction with your audience from advertisements. But, before going on about how to add it on WordPress, let’s first see Google Adsense in depth. As discussed earlier, Google Adsense is an advertising program network where the website owners are able to earn money by displaying advertisements on their websites for the appropriate audience. It is very easy to use as you don’t need to select which advertisements to display. You just need to arrange the appearance and position of the advertisement area. The rest are all managed by the Google Adsense. The Google Adsense automatically appoints a suitable advertisement for the audience which it thinks is relevant. It mostly depends on what kind of websites the users are interested in. The Google Adsense constantly analyzes the actions of the audience and generates a result. According to it, the most appropriate advertisement is decided. Now that you know this, let’s move on to adding Google Adsense on WordPress. The most acceptable way of adding the Google Adsense on WordPress is by simply copying the code provided in your Google Adsense Dashboard and pasting it in the desired advertisement area. For this, you need to first create your own Google Adsense account from its official website. Open the website and click on Sign Up Now. After your account has been activated, you’ll be re-directed to the Google Adsense Dashboard. 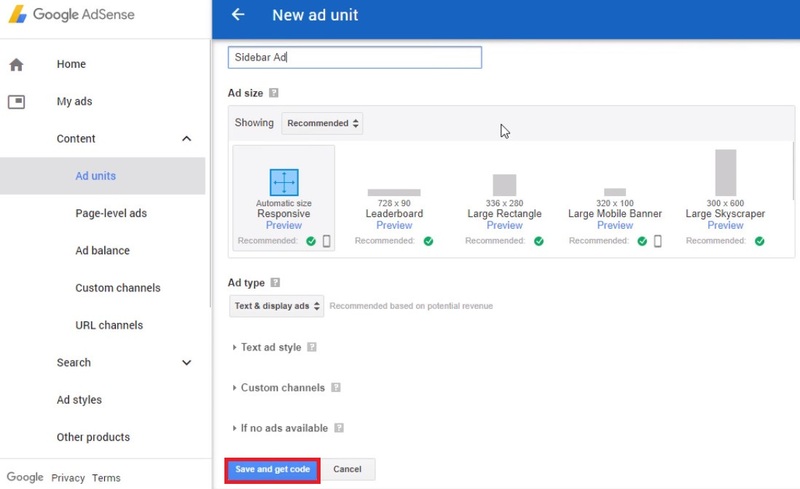 Here, go to My ads>>Ad units and click on New ad unit. You can then choose 3 different ways to add the advertisements from Google Adsense on WordPress. They are Text and Display ads, In-feed ads, and In-article ads. Let’s select Text and Display ads for this tutorial. Now, you can customize the description name and settings for Ad size and Ad Type for your advertisement. 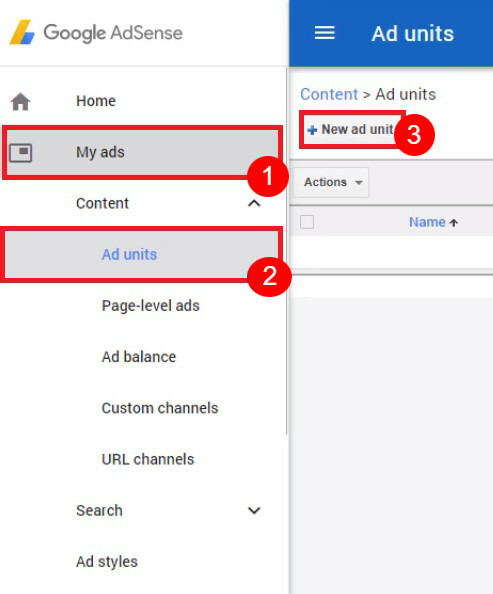 In the Ad type, you can also change the Ad style, custom channels, and options for unavailability of advertisements. Once you’re done, click on Save and get code. A dialog box containing the shortcode for your Google Adsense will appear. 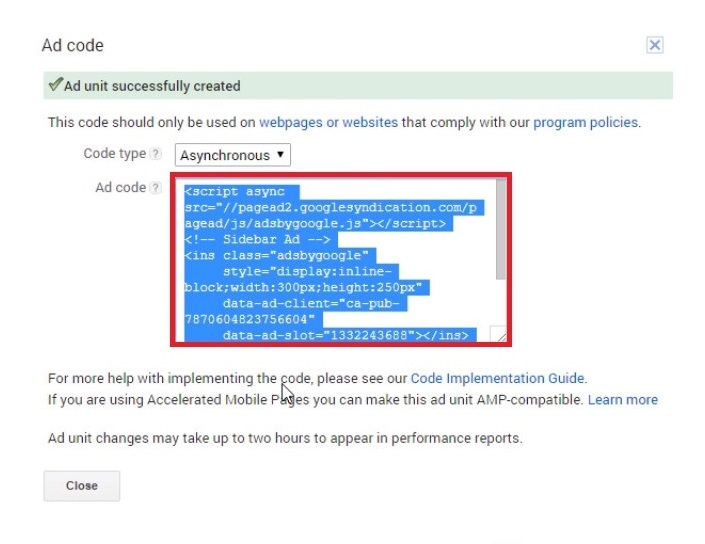 This shortcode is generated according to the ad size and ad type you’ve customized earlier from the Google Adsense Dashboard. You’ll then see the advertisement on your website once you view it. This is how you add Google Adsense on WordPress. 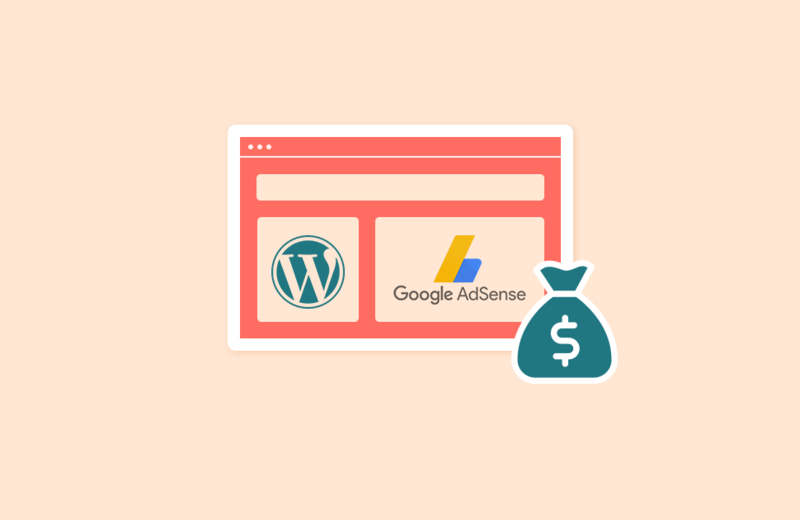 Using Google Adsense on WordPress is a great way to earn some extra money especially when you are just starting your website. It might take a while to gain popularity for most websites when they have just started. Until then, they can be monetized with the help of advertisements from Google Adsense. I hope that this article was helpful for you. You can check out these following websites which might also be useful for you. How To Back-Up Your WordPress Website? 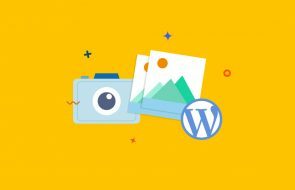 3 Best WordPress BackUp Plugins for 2018!